Showing posts from category QDDR. 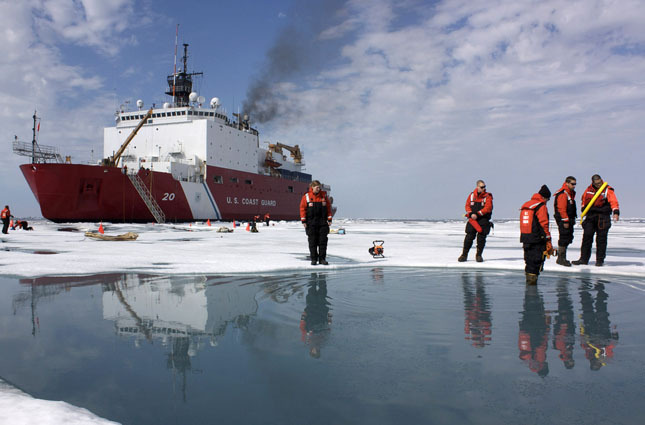 What Could Sequestration Mean for U.S. Development and Diplomacy? Newly minted Secretary of State John Kerry would probably prefer his first few months on the job to be a little quieter. But – in addition to everything else – sequestration is bearing down on Washington this week, and the U.S. government is beginning to seriously take stock of what automated cuts might mean. The Department of State and the U.S. Agency for International Development (USAID) are not spared. 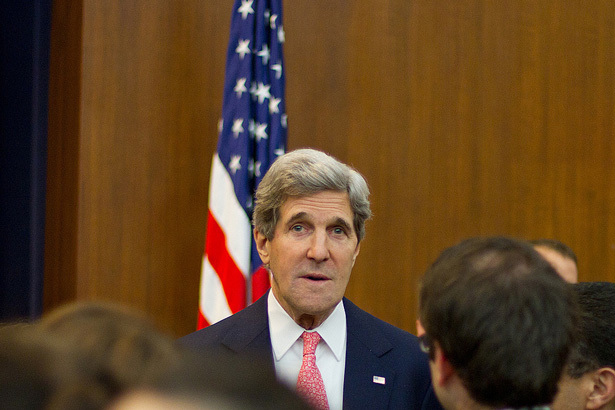 Kerry sent a letter earlier this month to Senate Appropriations Committee Chairwoman Barbara Mikulski (D-MD) outlining the projected effects for his charges if the March 1st deadline should pass without action. Over the past year and a half, USAID has been busy reinventing itself. 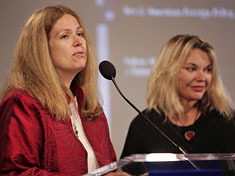 The announcement of its USAID FORWARD initiative and the release (jointly, with the State Department) of the first Quadrennial Diplomacy and Development Review in late 2010 signaled significant changes for the organization, including several reforms designed to modernize operations and improve transparency. Part of that effort is making data collection and dissemination more open. Thus far, the results have been encouraging. September of last year saw the launch of an awareness campaign focused on the Horn of Africa, co-sponsored by the Ad Council and called, somewhat confusingly, USAID FWD (famine, war, drought). As part of the program, USAID published a collection of regional maps, aggregating the organization’s substantial data pool and showing everything from food and water security to the movement of refugees and IDPs (internally displaced persons). Using data from its own FEWS.NET site, USAID created the maps with open-source tools, allowing other organizations and concerned individuals to leverage the data for additional aid and outreach activities. Many, including the ONE Campaign and InterAction, were quick to incorporate the maps and underlying data into their own activities. 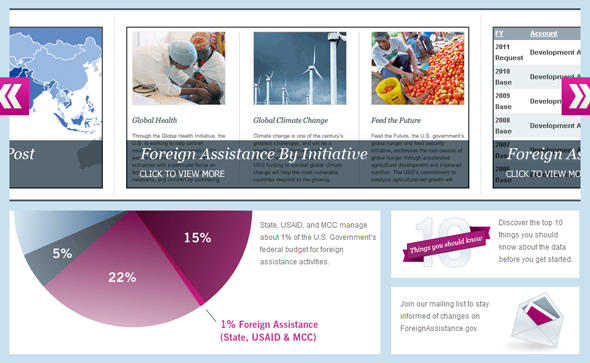 In order to promote greater data access and transparency, USAID also collaborated with the Department of State to create the Foreign Assistance Dashboard, a website that provides sortable aid budget allocation data to the general public. Launched in late 2010 with frequent updates since, the site allows users to see easily how aid is apportioned by region, sector, initiative, or other categories. 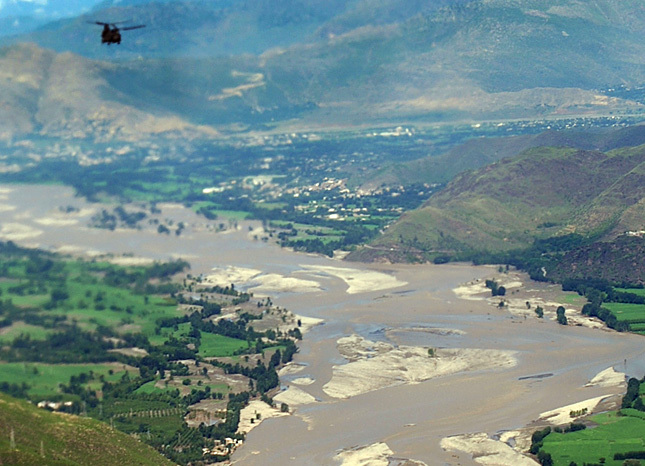 For instance, visitors can see that USAID more than quadrupled its humanitarian assistance to Pakistan in 2010 as a result of that country’s devastating flooding. Aid then fell back to near 2009 levels the following year. Recently, USAID has also taken its open data efforts to the Web. Faced with 117,000 records of development loans provided by its own Development Credit Authority and lacking proper geographic coding, the organization undertook a pioneering experiment in crowdsourcing this June. Civilian volunteers from the online technical communities GISCorps and the Standby Task Force pitched in to help code the data, as did unaffiliated citizens attracted by social media campaigns. The end results were outstanding: the volunteers finished the job in just 16 hours, although USAID had initially expected the operation to take 60. 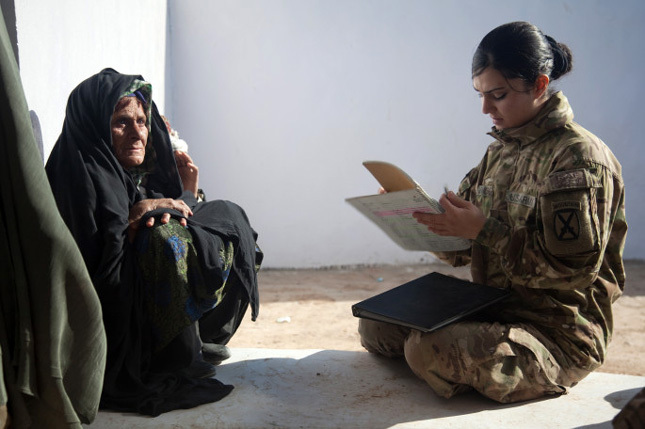 USAID’s recent experiments with transparency and greater civilian participation appear to be part of a larger organizational shift toward greater openness and collaboration. Administrator Rajiv Shah seemed to confirm this in a March interview with Foreign Policy, when he spoke at length about the benefits of partnering with the private sector as well as other NGOs. The recently reported demise, or at least great diminishing, of President Obama’s Global Health Initiative (GHI), which closed its doors amid a heated turf battle between USAID, the State Department, and PEPFAR, lends credence to this theory as well. The official GHI blog stated last week that it would “shift focus from leadership within the U.S. Government to global leadership by the U.S. Government.” This appears to indicate greater future emphasis on collaboration, with an eye toward enabling non-USAID actors to play a greater role in the development process. 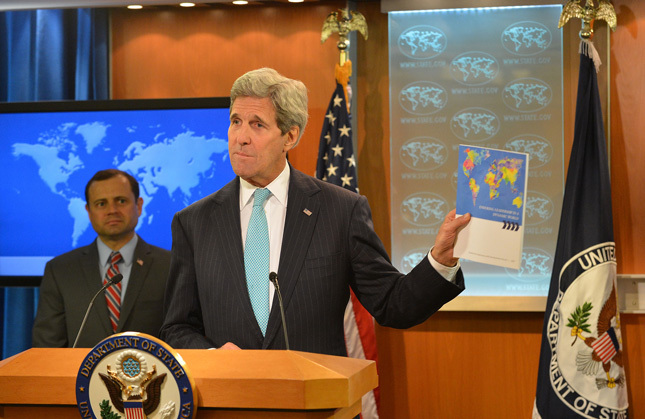 It remains to be seen how USAID’s role and strategy will change over the next few years. However, results from the organization’s initial attempts at open data and open government policies have been positive in many respects, and there is reason to hope they will continue to push the boundaries in these areas. Sources: Center for Global Development, Foreign Assistance Dashboard, Foreign Policy, Global Health Initiative, USAID. Image Credit: Foreign Assistance Dashboard.